There are currently 93,566 users on this website. 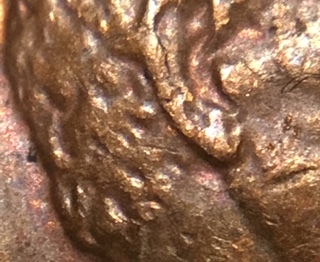 I found this 1974 D LMC and the back of the hair appears doubled and has an extra earlobe. 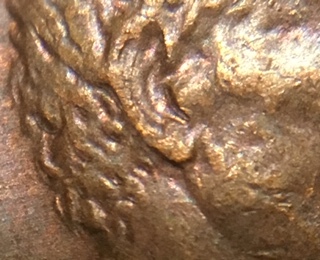 the ear is completely different from the comparison cent. Included is the comparison pic and it is the third pic. MD or doubled? 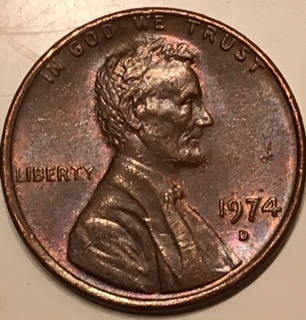 The die has been polished down, so I am wondering if that's the issue? That and maybe a little MD? I don't know but you can definitely see another lobe under the main lobe. Mr. Coop, I hope you can do a side by side. It is Machine Doubling. 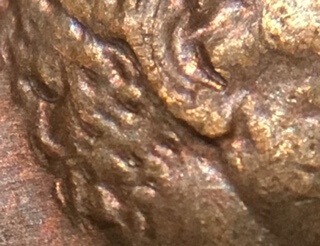 Note the outside edge of the hair is showing the same flatting. Also the ear on that area is reduced. The side by sides show the reduction that area already there.